Just when you thought that railways were all about trains, along comes a book that opens up a whole new vista into a railway. 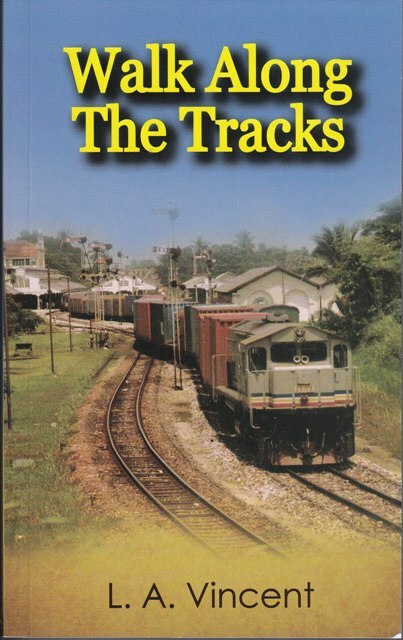 This is that book, and it’s a story of the Malayan Railway. Daily coal trains to Batu Arang, monthly pay trains escorted by the Railways’ own police force and a train that ran just 3 miles but came to be called an express, are just some of the gems unearthed from our Railways’ forgotten past. The Railways managed ports and even operated an airline at one time. And it wasn’t just people; even cows and horses took the trains! Spiced with interesting bits of history and anecdotes, this is a railway story seen through the eyes of people who lived, and worked in it. A must-read book if you are a railway buff. The idea to write a book on the railway was from the experiences during my days as a railway district officer in the 80s. Whenever there was a rail disruption like derailments, newspaper reporters always wanted to know the cause of the mishap. I thought writing about what the Railway was trying to do to restore the services would be more interesting. But, that never happened. That was the time I told myself that when I had the time, I would sit down and write about my railways. With retirement from the Railway approaching, I got down to fulfilling that promise I made to myself years and years ago. I started the book in 2004 and finished it in around 2008. Then time was spent looking around for a publisher. They were not too helpful; they felt that the subject matter would only cater for a narrow group of people. In the end, used my own finances to publish the book. I have been busy selling it like a direct salesman. Lately, the book has been put on book shops at ringgit 45.90 per copy. Writing about the book was not too difficult. I am a third generation railwayman..........I was born in a railway house in Gemas, grew up in a railway home and worked in it as an adult. As such, I was very familiar with the railway subject. A lot of it is told and narrated from personal experiences or of having heard of them from people who went through them. There were a lot of retired railwayman who were very happy to share their experiences from the 1950s and 1960s [I was only a child then]. Information like that gave an insight into what it was like in the Railways in the 'old' days. The last part of the writing was spent sourcing for historical information from the National Archives. Most of the things covered in my book will give a very good idea of what the railways were in this country during the past 100 years or so. A lot of things covered in the book, are also not known to the present day people. 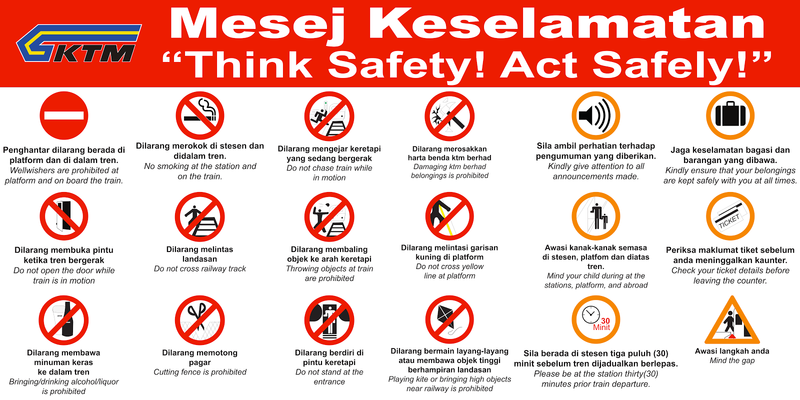 Very few people for example, know that we had a railway line going to Batang Berjuntai or that the coal used to run the trains and work the electricity plants were from Batu Arang. They were all carried on the train. No one from the present day would know of the existence of a railway line to these two places. These are things known to a few people except maybe to old retired railwayman This book is about what it meant to live, grow up and work in a railway environment. At the same time, it also gives a very good historical perspective of the Malayan Railway, the past 100 years or so.